Manistee Area Public Schools and Michigan’s Freedom of Information Act. 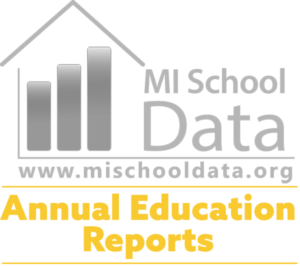 As a public institution in the State of Michigan, Manistee Area School District is subject to provisions of the state’s Freedom of Information Act (FOIA). Under the FOIA, “All persons, except those persons incarcerated in state or local correctional facilities, are entitled to full and complete information regarding the affairs of government and the official acts of those who represent them as public officials and public employees.” Consequently, any individual other than a federal, state or county prisoner has the right to inspect and/or receive copies of public records maintained by the district. The FOIA defines a public record as a “writing prepared, owned, used, in the possession of, or retained by a public body in the performance of an official function, from the time it is created. “The law defines a “writing” as “handwriting, typewriting, printing, photographing, photocopying, and every other means of recording, and includes letters, words, pictures, sounds, or symbols, or combinations thereof, and papers, maps, magnetic or paper tapes, photographic films or prints, microfilm, microfiche, magnetic or punched cards, discs, drums, or other means of recording or retaining meaningful content. “Email messages are considered public records under the FOIA if they deal with official district business. A person’s correspondence requesting information under the FOIA is also considered a public record. However, the law specifically excludes computer software from the definition of public record. Please note that the District is not required to make a compilation, summary or report of information, or to create a new public record. How do I file a FOIA request with the district? Written FOIA requests should be sent to the Central Office: Manistee Area Public Schools, 550 Maple St, Manistee, MI 49660. Requests can also be emailed to nday@manistee.org. Please specify with as much detail as possible the records you wish to inspect and/or receive copies of. For example, if applicable, please include the time period involved and the department where the documents may be located, if you have this information. Please include your mailing address and daytime phone number, as well as an email address and fax number, if applicable. Can some records be withheld? The law recognizes that, in some instances, the public interest may be better served by not disclosing information. FOIA therefore makes certain public records exempt from disclosure, for reasons ranging from matters of privacy to confidential research-related information. One exemption that applies uniquely to schools prohibits Manistee Area Public Schools from disclosing student records protected under the federal Family Educational Rights and Privacy Act (FERPA). At Manistee Area Public Schools, the decision whether material should be withheld is made by the FOIA Coordinator, if necessary, after consultation with the district’s legal counsel or other appropriate offices, the FOIA Coordinator has the authority, delegated by the Superintendent, to deny a FOIA request. How much time does the district have to respond? By law, the district has five (5) business days after receiving a written request to respond, although the response period can be extended by the FOIA Coordinator for up to an additional ten (10) business days as necessary. Day 1 of the response period is considered to be the next business day following receipt of the written request. Email is considered “received” one business day after it was sent. If, however, the request is electronically transmitted and delivered to a spam or junk mail folder, the request will be deemed received one (1) day after the district becomes aware of it. Sometimes requests involve voluminous documents spread over several departments. In those cases, full compliance with the request may take longer than fifteen (15) business days. The FOIA Coordinator can either grant a request; deny it in full or in part, citing one or more exemptions; or certify that the requested document(s) doesn’t exist. Are there fees for providing documents? The district may charge a fee for the search, review, separation of exempt from non-exempt information, copying and mailing of documents. Upon receipt of the request, if a fee is to be assessed, the requester will be provided a detailed itemization of fees that will list and explain the allowable charges that compose the total fee and the district will ask whether he/she wants to proceed. In calculating the cost of labor incurred, the district can charge the hourly wage, plus fringe benefit costs, of the lowest paid employee capable of performing the task. The labor costs are estimated and charged in increments of fifteen (15) minutes, with all partial increments rounded down. If the District does not employ someone capable of determining what information should be released, the district may contract the work to an outside person or organization. In such instances, the requester will be notified of the name of the contracted person/firm on the detailed itemization of fees. The cost of contracted services cannot exceed six times the minimum wage. In addition, the requester may be charged the actual cost of any non-paper physical media (e.g., computer disks, tapes, etc.) or paper requests. The maximum charge per piece of letter/legal sized paper is .10 (10 cents), as well as the actual cost of mailing the request. If the information that is requested is available online, the district will notify the requester of such, including the specific webpage location where the information can be found. Online availability will be noted separately on the fee summary. If the requester still requests paper copies, he/she may be charged an additional fee and will be notified of the amount in the itemized fee summary. Upon determination and disclosure of the fee, if the estimate exceeds $50.00, the FOIA enables the district to require a good faith deposit of up to half of the estimate before beginning the search for documents. The first $20.00 of the fee must be waived for a person who is on welfare or presents facts showing inability to pay because of indigency. Even in such cases, however, the district may still charge a fee if the person has already received discounted copies from the District twice during the calendar year or if the request is made on behalf of an outside party who is offering payment. The first $20.00 of the fee will also be waived for a non-profit organization designated by the State to carry out certain activities related to persons with disabilities. Can I inspect a public record in person? Yes, the district will provide “a reasonable opportunity for inspection and examination of its public records and shall furnish reasonable facilities for making memoranda or abstracts from its public records during the usual business hours” (8:30 AM – 4:30 PM on business days). However, the district may make reasonable rules to protect its records and to prevent excessive and unreasonable interference with the discharge of its functions. Please note that in some instances where original documents contain exempt information, the exempt material may be removed, and copies made for inspection. Also, please note that there still may be a fee charged for the cost of searching for and reviewing the original records before the requester can examine them. What recourse do I have if the response is untimely, the fee is excessive, or I am denied information? If the district fails to respond to an appropriately submitted and recognizable FOIA request within the timelines explained above, the labor costs to produce the documents must be reduced by 5% for each day the response is delayed, up to 50% of the total fee. If the requester believes that the estimated fee for producing public records exceeds the amount permitted, the requester may appeal to the Board. If the Board fails to timely respond or denies that appeal, the requester may file a lawsuit in state court for reduction of the fee within 45 days. If the request is denied, in whole or in part, then within 180 days of the District’s denial, the requester can either submit a written appeal to the Board or file a lawsuit in state court. The Board typically has 10 business days after receipt of an appeal to respond, but in unusual circumstances, the Board may take an additional 10 business days. Failure to respond is considered a final determination to deny a request. If the requester chooses to appeal to the Board, and the Board either denies or fails to timely respond to the appeal, the requester still can file a lawsuit in state court. The district cannot destroy a document once it has been requested. If the FOIA Officer denies the request, the document must be retained for at least 180 days from the date of the denial letter.